The essence of a successful franchise is the ability to repackage the prior set of offerings for a new audience. There’s nothing wrong with that concept, by the way. I thought of this fact of business life as I read Bob Rotella and Bob Cullen’s newest foray into golf performance enhancement. The Golfer’s Mind is the latest in their remarkably successful series, which began nine years ago with Golf Is Not A Game Of Perfect. After their stunning achievement with the first volume, Rotella and Cullen continued with Golf Is A Game Of Confidence (1996), The Golf of Your Dreams (1997), and Putting Out of Your Mind (2001). Time for another recap, it appears. If you have a photographic memory and previously read the first four books, you probably needn’t bother with this one. If you are not blessed with that kind of total recall, however, Rotella and Cullen’s newest contribution to improving one’s golf game will come in very handy. Rotella credits long time teaching professional Davis Love, Jr. for inspiring this edition, intended as a quick means of reinforcing ten basic reminders on how to play better golf. The popular sports psychologist’s primary concepts are broken down into short chapters, with even shorter chapter outlines following each one. Each chapter covers a major point, such as the need to stay in the present for each stroke. Five sentences in bold face summarize the chapter’s main points, thus enhancing comprehension through repetition. I used that present-mindedness example because it’s a common problem among golfers in general and for me in particular. One of the ways I handle it is to refrain from adding up my strokes at the end of the first nine. If one of my playing partners begins to call out my scores as we approach the tenth tee, I try to keep them from doing me the favor. As with his other books, Rotella is quick to admit that a good mental approach to the game is not enough. The time and effort required to develop a good practice routine and improve one’s shot-making skills can’t be avoided by resorting to meditation. Therefore, mixed in among the advice for the mind are some useful reminders for how to practice and play. Rotella and Cullen don’t mind resorting to some familiar history to make their points. For example, they repeat a story from their earlier work about the difference in wedge results between long-time PGA players and others trying to make it onto the Champions Tour. Rotella notes that PGA pros tend to stick their wedge shots inside 10 feet, while the rest tend to see their balls stop 15 to 20 feet away. Even very good putters have trouble making up that distance consistently over four rounds of golf. All this is part of a general reminder to “fall in love” with one’s scoring clubs, the ones in the bag starting with 8 and running down to sand or lob wedges. Most amateurs spend more time on the range with their driver than they do with the short clubs. Nonetheless, significant improvement in handicaps tends to come from better approach shots and improved putting, the subject of a well-done chapter by itself. One of the best advertisements for their advice appears on the jacket covers of these books. 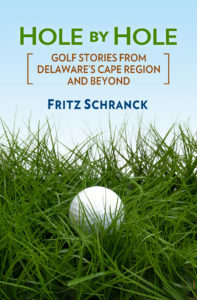 On the back flap of the first book, Golf Is Not a Game of Perfect, it says Cullen dropped eight strokes. The benefits of close association with Coach Rotella apparently have continued, since the newest volume says Cullen’s handicap dropped from 21 to 5.